The Mini K was released in March 1969 & the Mk2 Morris Cooper S was released in May 1969. Thought we could do something to celebrate these events, what about creating some stickers for these two models. 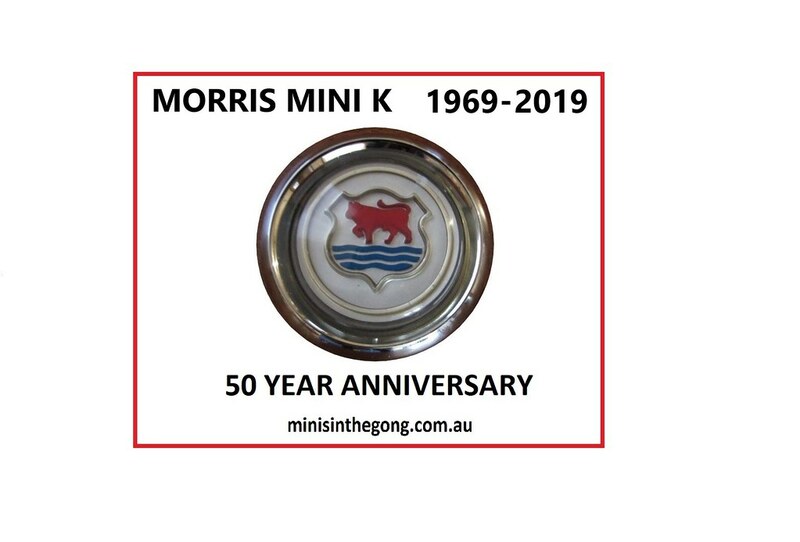 I have tried to include a sample image of a Mini K sticker, we would also need an oval Mk2 Cooper S sticker to be created. The attachment did not upload, might need help to display this. That is not a bad idea. Would they be for sale as decals? This is a new idea I just thought of, not discussed wider. I am working on the Mk 2 Cooper S draft but would look the same with adjustments of text & appropriate bonnet badge. Alternatively a front-on image of a car could be used instead of the bonnet badge, there has not been any discussion about producing these stickers. I'll see if I can chase up a good Mk2 bonnet badge image. be good for them to look similar style.